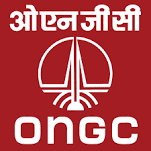 Oil and Natural Gas Corporation Limited (ONGC) Walk in Interview for engagement of Field Medical Officers, GDMO and Specialist Doctors for filling up 72 Vacancies on Contract Basis. M.B.B.S. Experience and higher qualification desirable. Occupational Medicine. If such trained doctors are not available, MBBS qualification can be considered. Post Graduate Degree / Diploma in respective stream. Desirous doctors may report with a photo identity , passport size photograph and original certificates i.e SSC Board Cert, HSC, Ist / II nd / III rd Year MBBS mark sheets , Internship Completion Cert, MBBS Degree , Permanent Registration, Caste Certificate (in case of OBC candidate caste certificate / NCL certificate should be in central government format); in support of educational qualifications, Proof of Higher Qualification (if any), Experience Certificate (if any) along with a set of self-attested photocopies and report to DY. GENERAL MANAGER (HR) - R&P AT 09.30 AM ON RELEVANT DATES MENTIONED ABOVE IN THE SCHEDULE. THE VENUE OF THE INTERVIEW IS 2ND FLOOR- CONFERENCE HALL, NBP GREEN HEIGHTS, PLOT NO C-69 , OPPOSITE MCA, BANDRA-KURLA COMPLEX, BANDRA (EAST), MUMBAI-400051. The Candidates may note that the registration for Walk in Interviews will close at 10:00 hrs on the day of Interview.